How well do you understand your company’s tax responsibilities? You’ll want to know, because the IRS sure does. Take your company’s fringe benefits, for example. Are they taxable? Who is liable? And just who can receive fringe benefits? 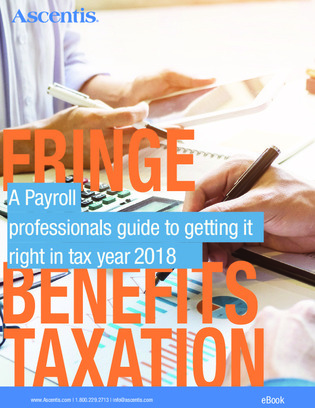 Tap into this 18-page guide for answers to these questions and several others related to employee taxes, and discover how a modern payroll software system can make it easy to track and tax fringe benefits.